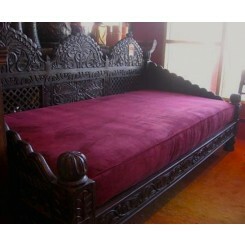 Luxuriate in palatial comfort in one of our royal beds, carved to perfection by master artisans of Northern India. Experience the splendor of a Jhula Pillar Bed, with a triple arch headboard inspired by the swings of the Maharaja's court. 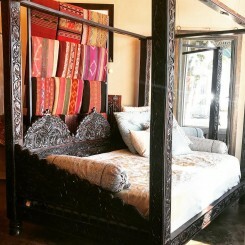 Indian white rosewood pillars and panels, handcrafted with precision and care, make these beds attractive to art lovers. 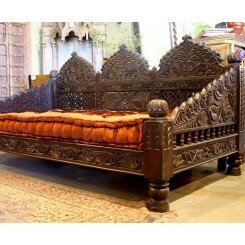 The Canopy Den Beds are modeled from old teak arches, panels and pillars found across India. The flawless carving in our rosewood headboards reveal a quality of craftsmanship that was passed down through generations. 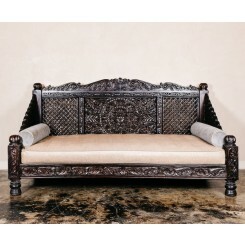 The Daybeds feature an Indian style of imperial opulence blended with the refinement of modern design.